Dr. Robert Schoen is a writer, musician, and composer. His book, On God’s Radar, follows his 2017-18 walk from coast-to-coast across the United States. Schoen’s first novel, The Rabbi Finds Her Way, written with Catherine deCuir, will be published by Stonebridge Press in 2019. He is also the author of the award-winning book What I Wish My Christian Friends Knew About Judaism (Loyola Press). 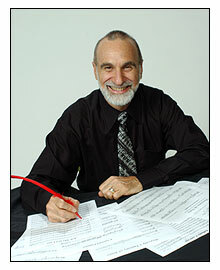 Schoen has composed music for a variety of ensembles and settings, and has served as Composer-in-Residence at Temple Sinai in Oakland, California, where Cantor Ilene Keys and the temple choir under the direction of George A. Emblom, premiered his original jazz-oriented Friday night Sabbath service, Bossa Shabbat. Schoen has set over 20 Psalms for solo or choir, a mission he calls The Psalm Project. His 2-CD set, The Music and Lyrics of Robert Schoen, reflects his deep love for jazz and musical theater. His song The Lights of Hanukkah was included on Vocal Majority’s holiday album, The Twelve Days of Christmas. Robert Schoen grew up in Wantagh, Long Island., where his mother, a pianist, introduced him to the songs of Broadway and Tin Pan Alley, including Irving Berlin, George Gershwin, Cole Porter, and Rodgers & Hart. During high school he played guitar and piano, and later took up the saxophone and flute. He currently performs on keyboard with his own combo, often at retirement facilities and memory care units. He also plays flute with the Urquhart Memorial Community Band. His musical influences range from JS Bach, Tchaikovsky, and John Philip Sousa, to Bill Evans, Stan Getz, and Antonio Carlos Jobim. He studied jazz piano with composer Aaron Blumenfeld, and music theory and composition with Giancarlo Aquilanti, Jeffrey Miller, and Frank LaRocca. Schoen holds degrees from Boston University (Communication), Laney College (Science), University of California Berkeley (Optometry), and California State University East Bay (Music). He also attended the Peabody Preparatory School in Baltimore and the San Francisco School of Dramatic Arts.